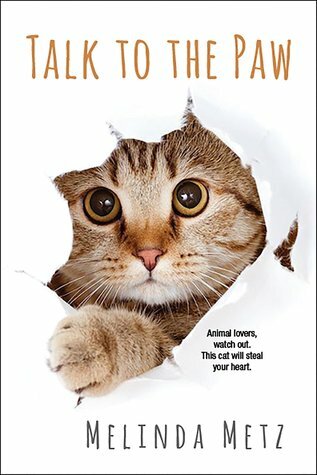 Inspired by the true story of a Portland, Oregon, cat who stole from his neighbors--and stole America's heart . . .
Jamie Snyder is thirty-four and single but NOT ready to mingle. After suffering through The Year of the Non-Commital Man, The Year of the Self-Absorbed Man, and The Year of the Forgot-to-Mention-I'm-Married Man, Jamie's ready to celebrate The Year of Me--and MacGyver, of course. MacGyver is an adorable tabby with a not-so-adorable habit of sneaking out at night and stealing things from the neighbors. That's right, MacGyver is a cat burglar. He's still the only male Jamie trusts--and the only companion she needs . . .
MacGyver knows his human is lonely. He can smell it. It's the same smell he's noticed on their neighbor David, a handsome young baker who's tired of his friends trying to fix him up. But now MacGyver's on the case. First, he steals something from David and stashes it at Jamie's. Then, he steals something from Jamie and leaves it with David. Before long, the two are swapping stolen goods, trading dating horror stories, and trying not to fall in love. But they're not fooling MacGyver. When humans generate this much heat, the cat is out of the bag . . . I read this book when it first came out, but I am just now getting around to reviewing it on the blog. First, here’s a little history about the author. Melinda Metz is a librarian and the co-author of the original Roswell High book series that was eventually adapted for television as the CW’s Roswell T.V. show. The Roswell books and television series have a cult following and fans have been campaigning for a Roswell revival and/or a Roswell film for more than a decade. Some Roswell fans are up-in-arms about the recent news that the CW will be airing a re-imagining of the original series in 2019 called Roswell, New Mexico. As a super-fan of the Roswell universe, I have mixed feelings about the new show, but I am happy that the Roswell world is getting a second chance in the entertainment industry. If you have not read Melinda’s Roswell High series, I highly recommend that you do! I love Melinda Metz’s writing and Talk to the Paw is, paws down, one of my favorite books ever! It’s poignant, quirky, romantic as hell, and laugh-out-loud funny. I clawed my way through the book in one sitting. Written in third-person, the reader has the pleasure of hearing everyone’s thoughts and, trust me, it’s highly entertaining. I have to say though, my favorite place to be was in Mac Gyver’s–the cat’s– head. He’s one saucy and clever cat. I’m pretty sure Mac is a character after Shakespeare’s own dead-heart. His misguided machinations and match-maker antics create the most purrrrrfect comedy of errors in the picturesque town populated with a cast full of colorful characters. Talk to the Paw needs to be a Hallmark movie STAT. Here’s a peek at the second book in the Talk to the Paw series! I am super excited for the next book! Make sure to follow @MelindaMetz on Twitter for more sneak peeks and updates.